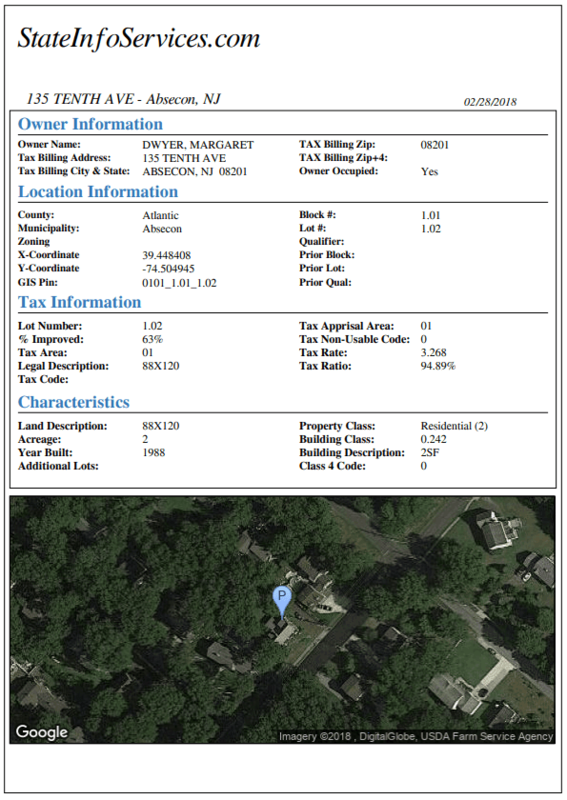 NJ Tax Maps, Property Tax Records – Download Property Reports! 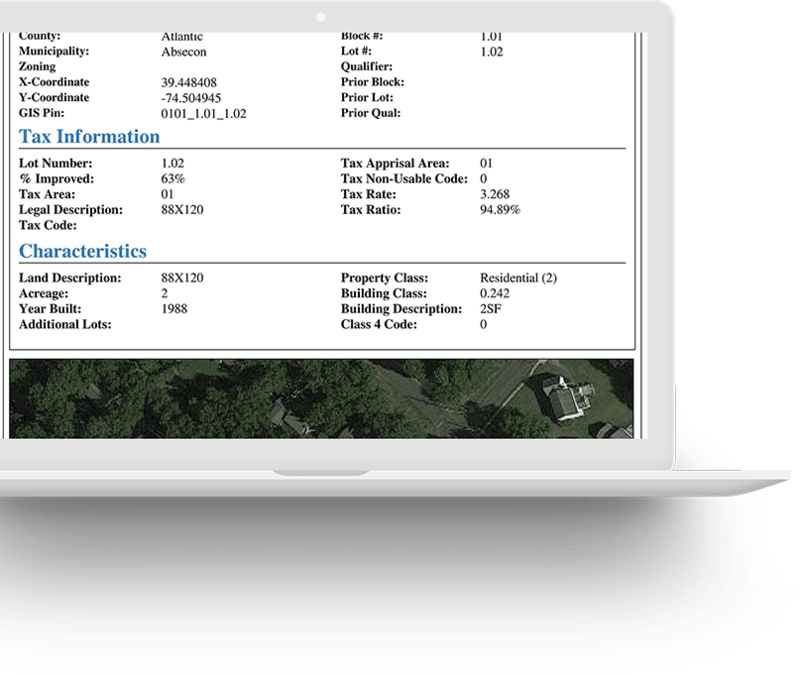 Established in 1990, NJPropertyRecords, LLC (NJPR) and its affiliate, State Information Services (SIS), has been the leading provider of real estate information for the state of New Jersey. 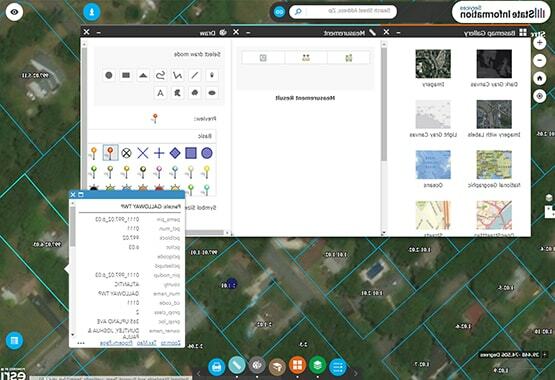 NJPR is known for its extensive, detailed data that helps investors, real estate agents, engineering companies, government agencies and others enhance their service offerings quickly and easily. 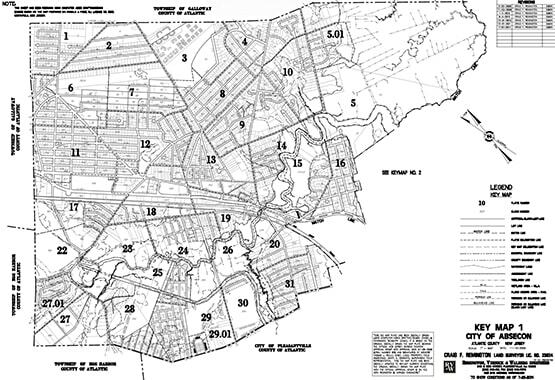 This site has been created and is maintained with the primary intention of assisting investors, real estate professionals, engineering companies, government officials and other agencies in obtaining convenient and simplified access to New Jersey property records covered by the Open Public Records Act in New Jersey. It is important to note that the access charges required for this service are necessary to cover expenses related to staff, hardware and software, etc. which are utilized to provide this service capability via the Internet. Provisioning for this service is not funded by any government entity, nor is this capability a requirement of the Open Public Records Act. 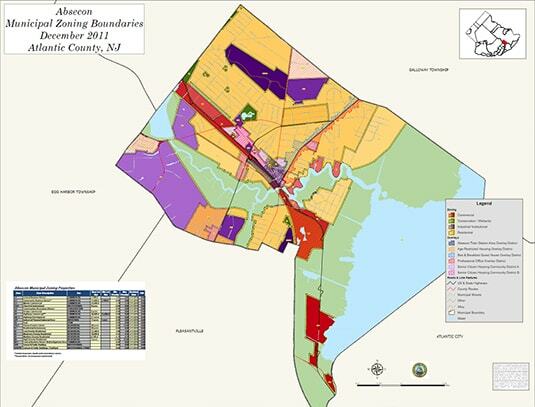 Browse state-wide tax & zoning maps in electronic format. 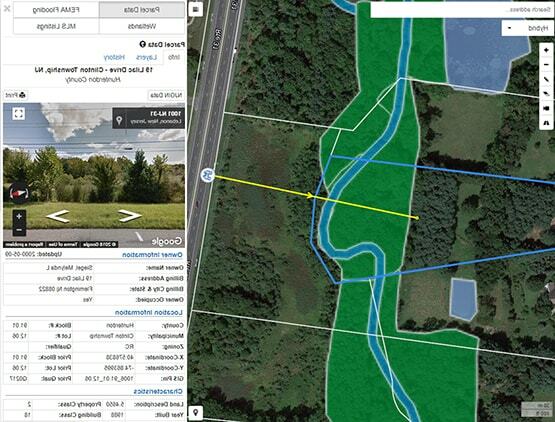 View, crop, and download any of our maps that we have on file. 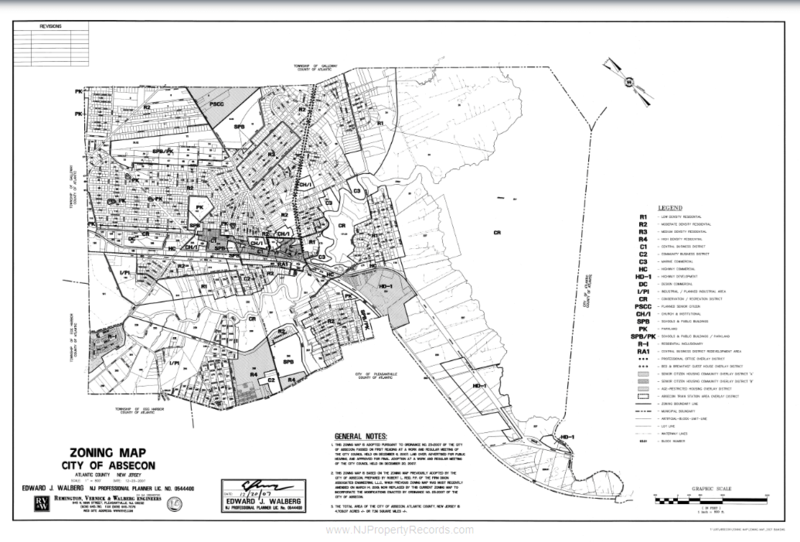 Easily access all of our records, including tax and zoning maps, which are updated on an ongoing basis. 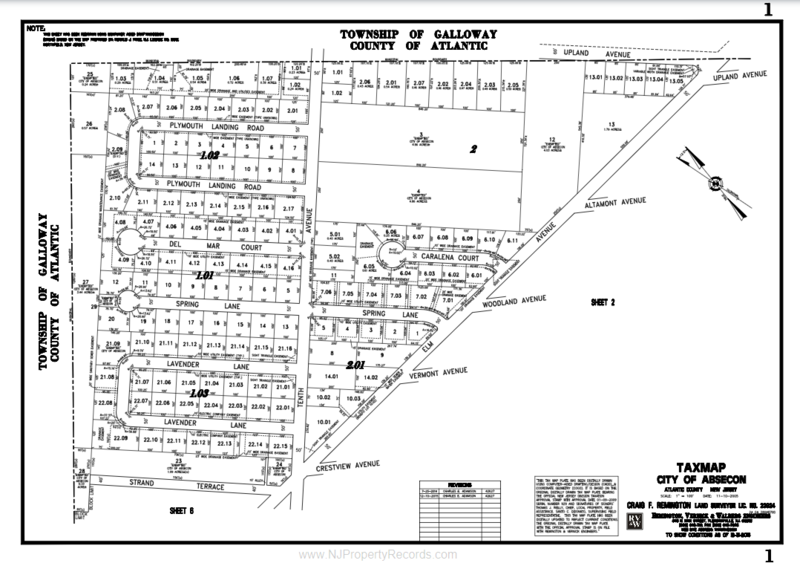 View current tax assessment information, property sale/deed history, potentially related properties, district codebook and nearby schools. 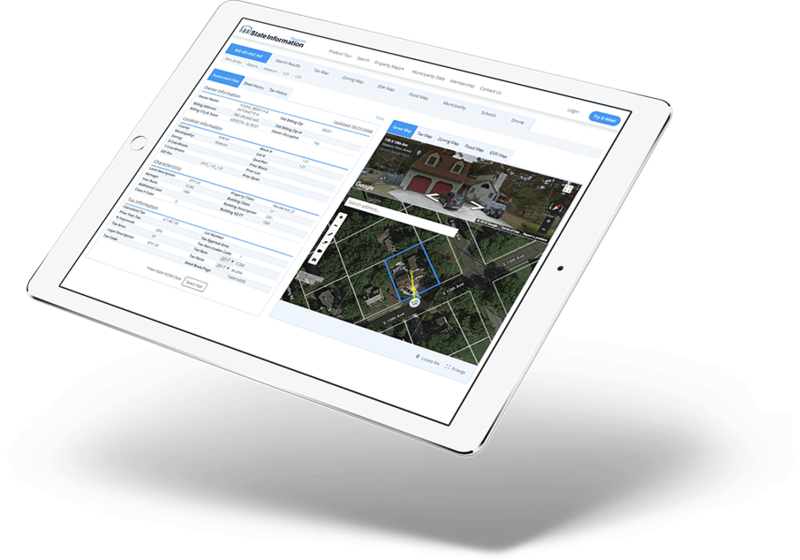 Generate detailed property reports. 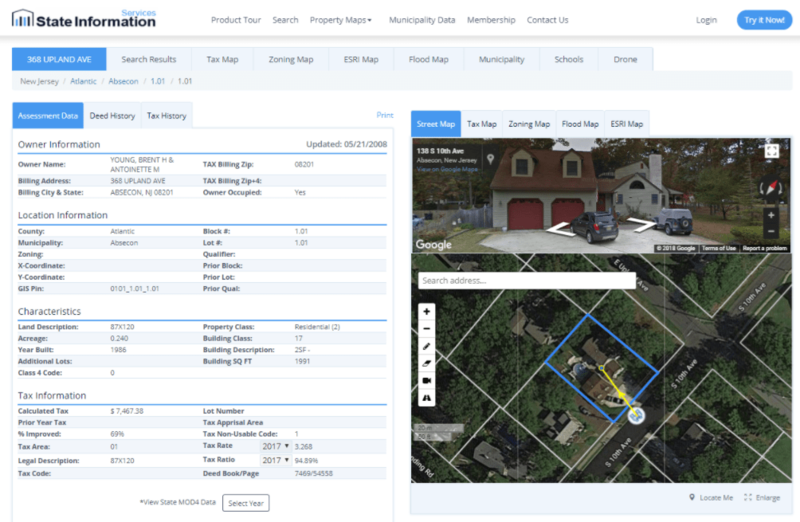 Ownership information is updated daily - no need to worry about stale data! Download your search query data in Microsoft Excel format. Dataset options include: clean owners' name, ignore duplicates, and remove addresses belonging to town, borough, city, and state entities. Supports printing with Avery Mailing Labels. 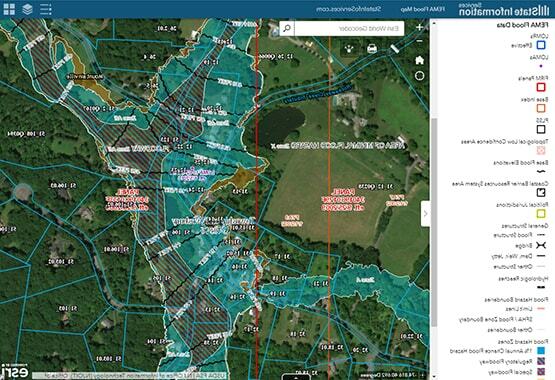 View state-wide NJ parcel & ownership information on our interactive mapping system. 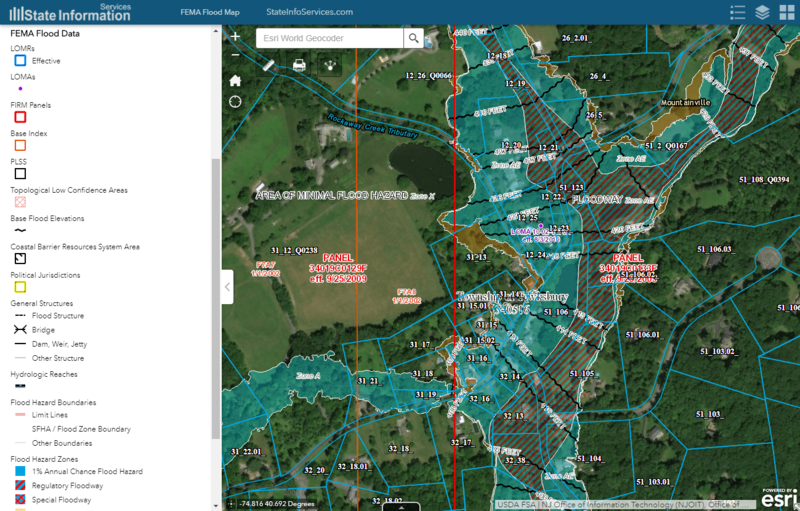 Layers include: parcels and dimensions, FEMA flood zones, wetlands, bedrock geology, contaminated sites, schools (public, private, charter), colleges, hospitals, 511 construction & traffic incidents, train stations, and trails. 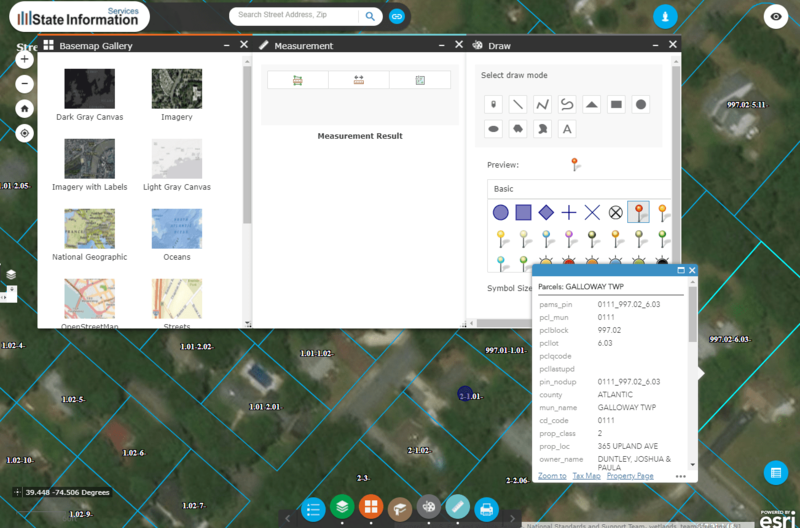 Base maps include: aerial imagery with labels, streets, terrain, topographic, national, dark or light gray canvas, and USGS national maps. SIS is committed to your success. Our staff is dedicated to obtaining, processing, and uploading our data on a weekly basis. Our data is compiled from various government agencies including state, county courthouses, and public records. We offer live chat on our website Mon-Fri from 8am-4pm. You can also reach us by email 7 days a week and will receive a response within one day. Try a 3 day trial. Cancel at any time.